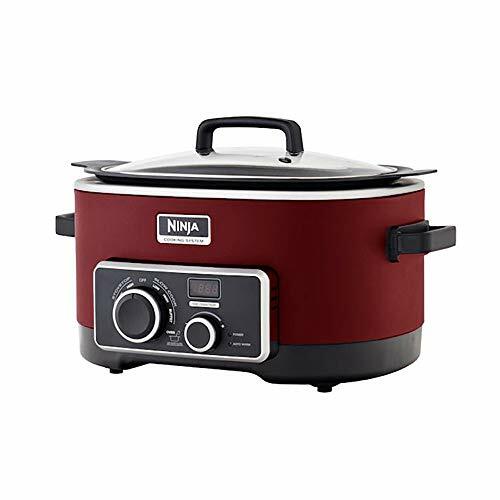 Ninja 6 Quart 3-In-1 Slow Cooker with Recipe Book (Certified Refurbished) by SharkNinja at Baking Love. MPN: 84808. Hurry! Limited time offer. Offer valid only while supplies last. 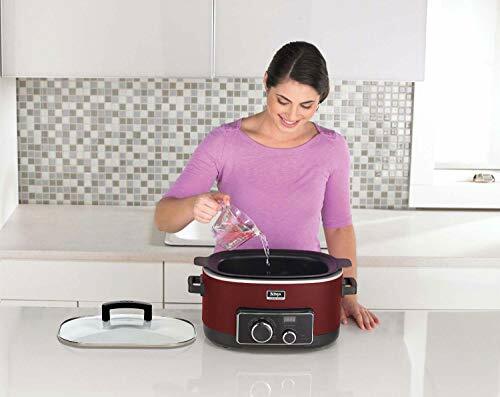 This package includes a Ninja 6-Quart Slow Cooker and 150 Recipe Book. For whatever you've got planned, the Ninja 3-In-1 Cooking System can cook it! 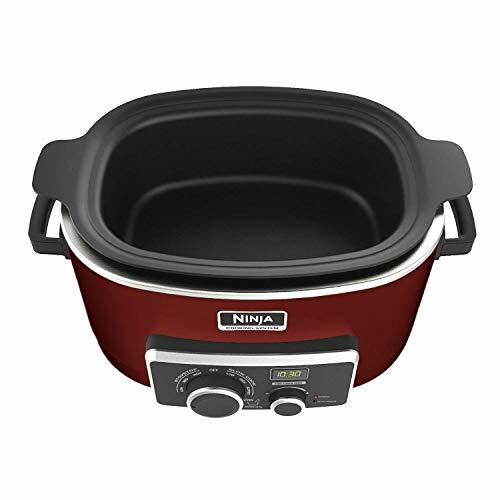 This package includes a Ninja 6-Quart Slow Cooker and 150 Recipe Book. For whatever you've got planned, the Ninja 3-In-1 Cooking System can cook it! 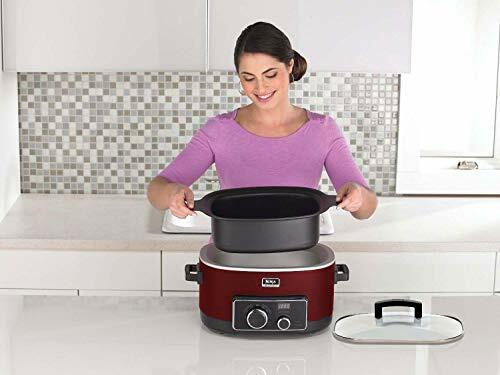 Not only does this system work as a slow cooker, it also functions as an oven and a stovetop for all your cooked goodies. 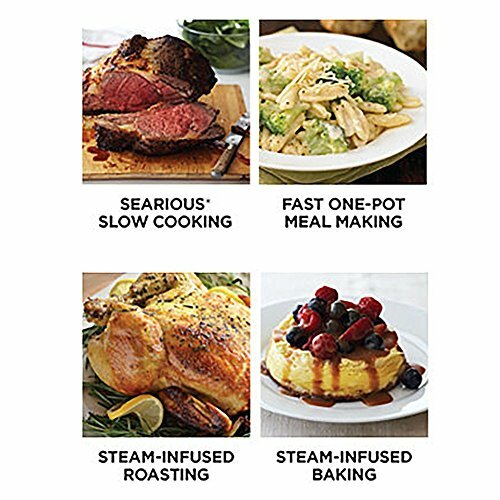 For a flavorful sear-cooked meal with no effort, use this system to make it all in the same pot. With a 6-quart nonstick pot, you can cook for the whole family or make a meal for one. And you can do it all in just one pot, instead of dirtying multiple dishes. 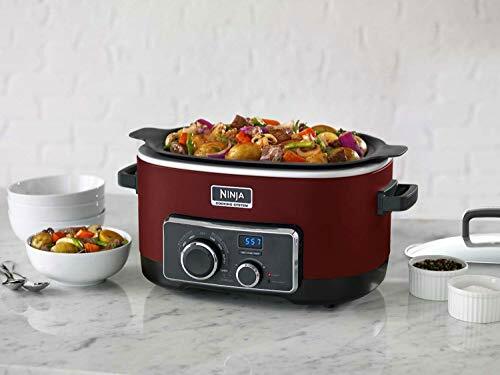 With the Ninja 3-In-1 Cooking System, you'll be cooking with ease. 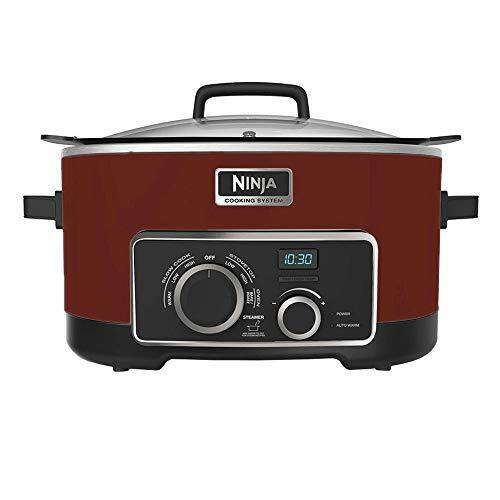 Do you love your Ninja multi-cooker but need fresh inspiration for meals? The Ninja Cooking Easier, Healthier, & Better Recipe Book includes 150 new ideas for delicious dishes that you can make in just 30 minutes. With an average prep time of 10 minutes and a 20 minute cooking time, you can make dinner for the family quickly. 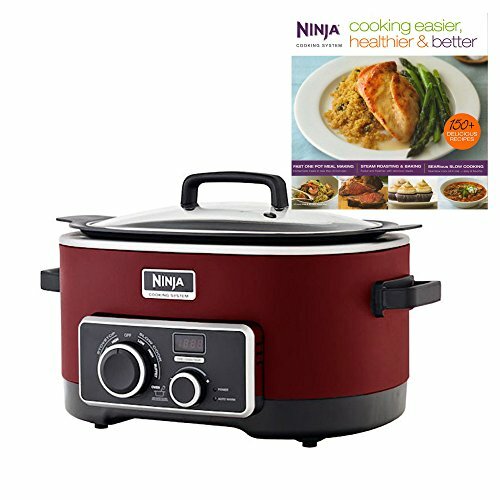 Using your Ninja 3-in-1 or 4-in-1 Cooking System, put together seared, steamed, or baked dishes. 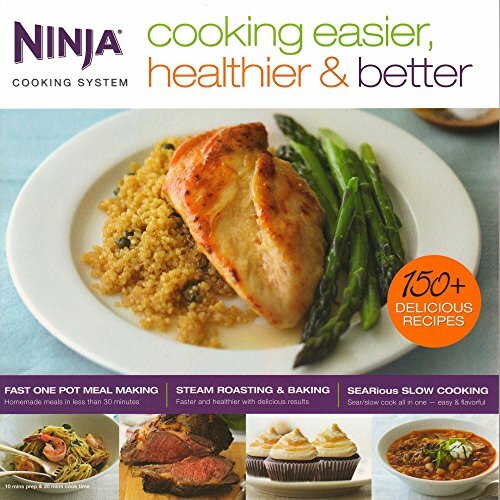 Cook delicious meals for the whole family with the Ninja Cooking Easier, Healthier, & Better 150 Recipe Book.